As my first feature article as part of the new Statistics Committee of the WDBF, and as the United States representative of Dodgeball Canada’s Statistics Committee, I present the Complete History of the World Dodgeball Federation. How do the Standings work? The respective Standings are a rigid Sort Order protocol, with the each Member Nation’s Gonzalez Rating playing “tiebreaker” as needed. Medal finishes are given top priority in the Standings, and the Gold/Silver/Bronze/4th finalists of the last Worlds event on record will always have a standing of 1-4 going into the next Worlds. Here, the medalists of Worlds 2017 are sorted by medal finish regardless of the Gonzalez Rating. Next, attendance at Worlds is given the next prominence. Teams that have attended any Worlds (but didn’t medal in the last) are sorted based on their Gonzalez Rating. Member Nations that haven’t participated in Worlds will be ordered to the end of the list, and sorted based on their Gonzalez Rating. This is the largest section that the Rating affects. The four Member Nations that participated in the African Dodgeball Championships (Central African Republic, Cameroon, Chad, and Gabon) were the initial part of a number of planned Continental events (e.g. European, Asian/Pacific, and American Championship). In these Continentals, Member Nations will host their neighbors throughout the year, leading up to Worlds. In the future, medalists in these Continental events might be weighted higher in the Standings, as more ranked matches are played. Further, any inactive teams are hidden from the list, though they still retain a Rating. Sort the most recent medalist according to their placing; Gold, Silver, Bronze, 4th finishers of the last Worlds will always have a standing of 1-4. It is important to note that a Member Nation’s Standing does not affect the Rating System in any way. The Gonzalez System is used to compare team strength based on accurate match results. The only extra weight in the formula is if the match was held during or Worlds event (2x exchange) or not (normal exchange). For example, using World attendance as a modifier to a team’s rating does not increase the accuracy of the rating system as a whole, and potentially leads to unfair applications and confusing predictions. It is fairer to apply Medal finishes over Ratings when the results are used in a Standings list. Standings could be used in any number of ways, but the scope of this article is to detail how teams are rated as fairly and accurately as possible. How are Member Nations rated? Enter the Gonzalez System. The Gonzalez System is a computer ranking model similar to Elo and is a rating exchange system based on research performed by World Rugby. It has been adapted by the NCDA to the demands of College Dodgeball, but can be tuned and customized endlessly to incorporate accurate data. It has been used to help determine seeds for the NCDA’s Nationals bracket since Nationals 2014, and was used exclusively for the Nationals 2017 and 2018 bracket. In the development of their system, World Rugby tested a century of match results going back to 1871. The Gonzalez system used by the NCDA has been continuously developed since late 2012, initially introduced by Matt Gonzalez [U of Nebraska Lincoln #46]. I have spent thousands of hours looking at dodgeball records, all which started by keeping the NCDA recordbooks in Fall of 2010. Because of the Gonzalez System’s origins in World Rugby and its successful implementation in the ranking of international Member Unions in the sport of Rugby, it is an ideal system to use for producing accurate and reliable rankings for the WDBF’s international dodgeball competition. Further, the system is applied independently to the Men’s and Women’s divisions. Going into Worlds 2018, USA Men’s is currently rated 42.773 and USA Women’s is currently rated 44.754, all based on their independent performance. It would be inappropriate to lump both these teams together just as much as it would be inappropriate to lump together results in other rulesets into the same system. The base formula is pretty simple. If the high seed has a rating of 50 and the low seed a rating of 45, the Ratings Gap between these two ratings is 5. The Gonzalez Exchange will be .500 if the high seed wins, which we count as the predicted result. The teams trade points equal to the Gonzalez Exchange: the winner gains the exchange, and the loser gives up their points. If the low seed wins, the low seed gains 1.500 in a technical upset. The low seed gains more points for defeating a tougher opponent. The Rating Exchange is a scale from 0 to 2 rating points. The exchange directly corresponds to a Ratings Gap of 0 to 10 rating points. There are two types of exchanges. A predicted result will have an exchange from 0 to 1 rating points. A technical upset will have an exchange from 1 to 2 rating points. In addition to this base formula, we can apply a few modifiers using the real data behind the box score. The system employs modifiers for Home Court Advantage, Margin of Victory, and Worlds. Home Court Advantage – Add 1 point to the Team’s Rating for a match played in their home facility. If neither team possesses a home court advantage, the modifier will not be applied (or consider that 0 points are added to the Team’s Rating). Worlds – Multiply the end exchange by 2. This signifies the importance of the historical event, and any matches played during Worlds account for double the Ratings exchange. There are many reasons to support this: Worlds is played under better and fairer conditions. The Officials are better, more competent, more numerous, and are more often neutral to either team playing. The overall success rate of the Gonzalez System in the WDBF Men’s Division is currently 78.63% based on 28 technical upsets in 131 ranked matches played since 2013-09-27. The overall success rate of the Gonzalez System in the WDBF Women’s Division is currently 71.13% based on 28 technical upsets in 97 ranked matches played since 2013-09-27. For comparison, the overall success rate of the system in the NCDA is currently 80.21% based on 314 technical upsets in 1587 ranked matches played since 2010-09-25. In one main criteria, the Gonzalez System is successful when evaluated by its predictive accuracy. A good ranking system should be able to predict the winner of a given match most of the time. If the prediction fails, it should be able to use that result to improve for the next match. 287 Ranked Matches across six years contribute to the system. More recent results have a bigger influence on a team’s rating. As time goes on, the importance of past victories and defeats fade into statistical irrelevance. Additionally, Overtime is recorded for many matches on record, but is not a contribution in the current system because of a lack of data. Modifiers incorporate extra data behind the box score. As long as that data is accurate, it can be applied to increase the relevance and accuracy of the system. In the sport of Dodgeball, Home Court Advantage (HCA) is an important variable but it is not because the “home crowd” gives some kind of advantage. Travel distance has a noticeable outcome on the strength of the roster itself. A home team may have access to a larger pool of roster candidates. NCDA research indicated that home court advantages does exist, and that giving home teams one rating point was more accurate compared to other points. For comparison, World Rugby assigns a home field advantage of three rating points, but they have steadier rosters. World Rugby’s research suggested that “match results are more important than margins of victory in producing accurate rankings. For instance, whether a side wins by 60 points or 100 points against much lower-rated opposition is not a good indicator of future performance.” However, winning with a little to spare boosted the success rate of the whole system and this is true in the Gonzalez System. Nine matches at Worlds 2015 (Las Vegas, USA) had no box score that we could find. Hopefully they are not lost to history. The Margin of Victory modifier may also apply to these orphan matches. Worlds adopts such a critical role in the WDBF, given the hereto lack of international matches that would fall under the “Ranked Match” classification. Currently only the African Dodgeball Championships are the non-Worlds ranked matches in the records, held 2018-01-27 in Yaoundé, Cameroon. This is the first in a number of planned Continental events (e.g. European, Asian, and American Championship), where Member Nations will host their neighbors throughout the year, leading up to Worlds. While international competition progresses and contributes more ranked matches to the system, Worlds will continue to be the prestige highlight of the WDBF season and a specific modifier reflects this. Matches held at Worlds account for double the end rating exchange. This means that the maximum Exchange for a Worlds is 4.000 rating points and the Minimum exchange is 0.020 rating points. Only Worlds is given a boost, all other events do not receive a modifier and are treated as equal weight. An updated modifier, like 1.5x, may be considered in future, if high level competitions begin to become more common place. Continental medal finishes might not affect ratings, but could lend a weighted overlay in the Standings list so they a ranked higher for medaling at their Continental. In order to protect against negative exchanges and freak results, an inherit limit is set for the Rating Exchange. The rating change falls between 0.010 and 2.000. The Minimum Exchange is no lower than 0.010. If a strong team (50) defeats a weaker rated team (35), the end exchange would fall into a negative value (-0.5). The weaker rated team would actually gain points just by playing and losing to a higher ranked opponent. This minimum ensures that every match counts, even if it is only a marginal hundredth of a point value. The Maximum Exchange is no higher than 2. If a weak rated team (35) defeats a stronger rated team (50) in a freak upset, the end exchange would be 2.5. The Exchange Range ensures that any one freak result can’t affect the rest of the system too greatly. Exception for Worlds – While the Margin of Victory modifier is applied before the Min/Max modifier, and no rating exchange should fall outside the 0.010 and 2.000 exchange, the Worlds modifier is applied after the Min/Max values are applied. This insures that all Worlds rating exchanges are double strength regardless of the quantitative result: between 0.020 and 4. A rating exchange between two similar rated competitors will fall towards the middle of the exchange range, 1.000 for standard matches and 2.000 for matches at Worlds. 53.934 (MYS) vs 45.912 (CAN) for a 0.596 exchange. CAN def USA in 2017 Mens 2v3 was a mid range upset worth a 2.589 exchange. USA dropped those points with the loss, and the bracket placed USA against AUS (45.024 vs 44.679) where AUS was predicted to win. The Gonzalez system is a rolling system. USA’s new rating was based on the results of the last match USA played, their loss to CAN. The exchange of this match is 1.931. Additionally, since that is close to two and the middle of a possible Worlds rating exchange, this was an even strength match with AUS having the slight prediction to win. After their defeat of USA, CAN was 45.912 going into the Gold match, but AUS would gain 1.931 to their 45.024 rating, which would put them at 46.955 to end the season. Sliver medalist CAN would drop enough from this loss to be rated below AUS, which took bronze. A Member Nation is issued an initial rating of 40.000. Any new Member Nation that plays in a WDBF ranked match will be issued the same initial rating. Playing ranked matches will either increase that team’s rating (if they win) or decrease that team’s rating (if they lose). This 40.000 number is a carry over from the World Rugby system, and is only significant because teams will generally stay within the positive over time. Few teams would endure a “negative” rating in practice. The number could be set for 1500 (like common ELO systems, which favor rating exchanges in whole numbers) and achieve a similar result. Ratings are considered provisional until the Member Nation has six matches under their belt. After that, their rating is considered a fairly accurate measure of the team’s strength at that moment. The system is reactive. If a team is stronger than their rating indicates, perhaps by winning a significant upset in their next bout, the rating exchange will be larger for that bout. A Member Nation can rise to the top of the Ratings by winning 6-10 matches, though the exact count depends on the quality of their opponents. Because the system is zero sum, ratings across the system will also average no less than 40.000 in the long term, the League Mean. The Modifiers will cause the League Mean to be slightly higher than 40.000 and the quantity of active competitors can also alter the League Mean. New Member Nations will often enter the system slightly below the average mean. If a team is good, but their rating has not caught up to that level, it will close on a more accurate rating with the next few ranked matches. 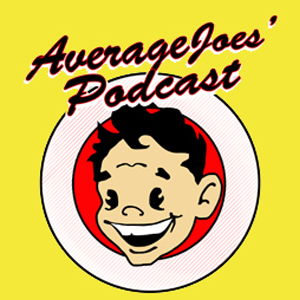 Any rating and rating exchange will be accurate to at least ten decimal places. The Rating will be displayed to three decimal places (40.000) for use in media, but still calculated with more accuracy. In Google Sheets, the value is stored and calculated using floating point and is accurate to an apparently infinite amount of decimal places. This may cause an extreme edge case rounding errors if the formulas and data are moved to other systems, like Excel or SQL. The Ratings and Exchanges must be accurate to at least ten decimal places: 40.01234 56789 which will greatly negate this from occurring. Instead of resetting each team’s rating when a new year begins, the system carries over a portion of a team’s rating from one year to the next. Worlds 2018 is the “season” end point for the 2018 year. Any matches played in November or December will be applied to the 2019 Season. This variable generally assumes that Member Nations are consistent from season to season to a certain level, while allowing that years team the proper balance to affect their rating. It also reels in the Rating Spread and makes it easier for teams to adjust to their proper placing once more matches are played. Teams keep 50% of their rating from the previous season. It reflects real world losses from rosters and makes the system more relevant. For the remaining portion of the rating, add 50% of the League Mean Rating at the end of the season is to the Team’s initial rating for the upcoming season. Exception: Non playing teams not included – The League Mean Rating only includes teams that played a match that Season. Even if a team was considered an active Member Nation, if the team did not play a ranked match that season, their rating will not be included in population for the League Mean Rating. For example, New Zealand Men’s was active for the 2016 Season, but not for the 2017 Season. New Zealand’s rating was counted in the League Mean Rating for 2016 (41.327) but was not included in the average for 2017 (42.800) because they did not play a ranked match that season. Additionally, New Zealand’s rating was still reverted to the mean even during their 2017 “inactive season” and New Zealand Men’s will pick up the updated rating heading into Worlds 2018 (38.783 in 2017 to 40.791 in 2018). Ratings at the start of the year, after the reversion to the mean, will be similar to how that team performed in the last few matches of Worlds. The system is reactive and won’t know if a star player was added to the roster. New match results are needed to show if a rating is accurate or not. A team that has played a ranked match since the start of the Record keeping period, but has become dormant over time, is considered an Inactive Member Nation. Retention of Rating – An inactive team’s rating will continue to follow the defined Season to Season Carry Over protocol. Reactivation – A “dormant” team will pick up their adjusted rating if they become active again. If a team was dormant for many seasons, their rating may be different from the last time they played because of the defined Season to Season Carry Over protocol. Listing – As long as a team has played at least one match in a season, their Rating will be included in the Rankings. If a team has not played a match, they will be listed at the discretion of the governing board. Merged Nations – if Member Nations merge, the new Member Nation will inherit the highest rating of any of the constituent Member Nations. Split Nations – If Member Nations split, the latest rating will be immediately calculated using the defined Season to Season Carry Over protocol, no matter what time of the year. Each new Member Nation will inherit the same recalculated rating, and gain/lose points under their new given rating. If a new Member Nation does not play a match from the timing of the split, they will be considered a Non Playing team for that season and not included in the League Mean Rating. With some more complete data, the system can be improved further. For one, results from Worlds 2012 appear to be lost to time. But there are other potential avenues that can help improve the System as a whole. A match goes into overtime when the regulation time expires and the score is tied. A notable difference between the NCDA’s Gonzalez system modifiers and the WDBF system modifiers is how Overtime is handled. This is more a result of the lack in which Overtime has been given special status among the WDBF box scores. In the NCDA, OT signals that two opponents had a close match and the Exchange is halved. The winner gains less points because they didn’t win in regulation, and the loser doesn’t lose as many points for keeping the match close. In the WDBF ruleset, overtime simply ensures that if a match is tied at the end of regulation time, a winner must still be determined. Indicating that a one point differential match was an OT or just a close match seems to be less important. If the OT modifier were to be incorporated into the system, the data behind matches that were decided on one point need to be evaluated using video evidence. Most of these matches were recorded on YouTube so this would be a simple project to complete. Navigate to the matches, check the end of the match to see if it was decided in Overtime, and attach the relevant 1/0 in the Boolean OT column. Nine matches at Worlds 2015 (Las Vegas, USA) had no box score that we could find. These could have been OT matches, and filling these out should be a top priority. There are eleven matches that are known to have been Overtime. And the full 30 matches that were decided by a one point differential, but where it is not known if the match was tied at the end of regulation. Each Member Nation’s Acronym is the designated 3 letter country code under the ISO 3166-1 alpha-3 standard. This seemed like the best case for a few reasons; using three letter code in all caps and a nice monospace type would be good for a series of readable box scores. It has historical basis in FIFA trigrams and other sport’s box scores like the IOC trigraph, though there can be potential discrepancies between standards. Though a three letter code is convenient for human readability, an unchanging numeric code will be an essential future upgrade. Switching to the ISO 3166-1 numeric standard for handling Member Nation IDs would be an improvement on the data backend (e.g. 124M for Canada Men’s, 840W for United States Women’s). The system uses the Member Nation ID for all calculations, something that is static and reliable. The Member Nation acronym is a relational attribute, defined in a table and displayed based on the paired Member Nation ID. In that way, a script can display the short three letter code, or the full Nation name given the needs of the situation. This is how the NCDA handles its Member Teams, though our numeric ID is based on Join Date. DePaul is the oldest collegiate dodgeball organization (Fall 2000), with ID #1. 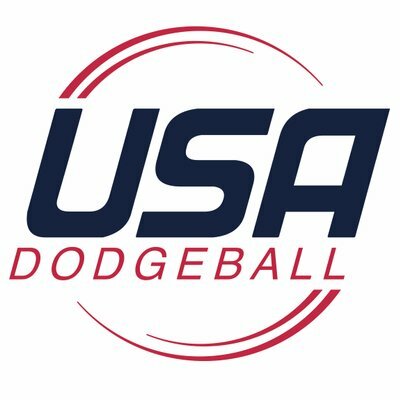 Ball State is the most recent college dodgeball organization to play its Induction Match (2018-03-17), with ID #53. Ad hoc IDs are used for filler teams (i.e. LEAF-M, KWN-M, MEL-W, VGS-W) when they appear in events as needed fillers to round out the schedule. Though every game is recorded in the record, these teams are not given proper IDs as the match is not ranked. If the Match is not ranked as these filler teams are, there is a boolean [1/0] column to denote if the match is a ranked match. Three letter codes were chosen based on the Airport code of the host city for that year’s Worlds, though Toronto’s team was unique among filler teams in being named the Maple Leaf. Perhaps representative of all of Canada instead of being limited to the realm of Toronto. Additionally, a notable statoid in this system relates to the multi-national Pacific Island Men’s team of Worlds 2016, which played in ranked matches, but appeared to have members of a few Nations and wouldn’t possess a proper numeric code. Much of the basis behind this system was pioneered via research into the NCDA’s own efforts. Given over 1500 ranked matches, the variables used by the NCDA have proven the system reliable at predicting around 4 in 5 results. Further, the 1 in 5 results that are technical upsets do not occur frequently as significant upsets. A Significant Upset is the Rating Exchange of a technical upset match, which is greater than two standard deviations from the mean of the whole population of upset exchanges, a Technical Upset in the 95th percentile. Too many significant upsets would be a signal for research into why the system is failing. Research has concluded that the WDBF Gonzalez system is 74.43% correct over both divisions, roughly -4.77% difference compared to the current 80.21% success rate of the NCDA’s system. Could a few variables adjusted help the success rate in the WDBF context? Does a team need to retain 75% of their rating over the season, or will OT affect the predictive accuracy? These are data crunching exercises that would prove invaluable to the future strength of the system. However, how the variables are initially chosen and set contribute a great deal to the relevance of the system. The eye test is strong in hearts and opinions. Unreal! Didn’t know dodgeball had it’s own Nate Silver!